Taoiseach Leo Varadkar face up to the challenges ahead. 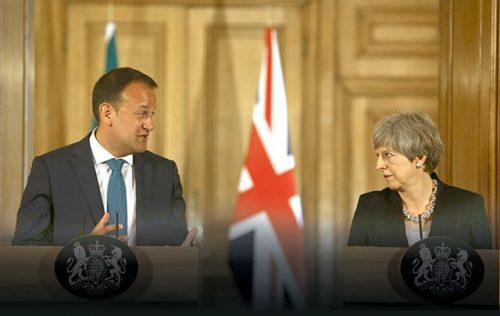 While Britain holds its collective breath as Theresa May’s Tory government teeters on the brink, the Irish people whimsically look on this week as Leo Varadkar’s own administration faces another close shave – this time to survive next week’s budget. 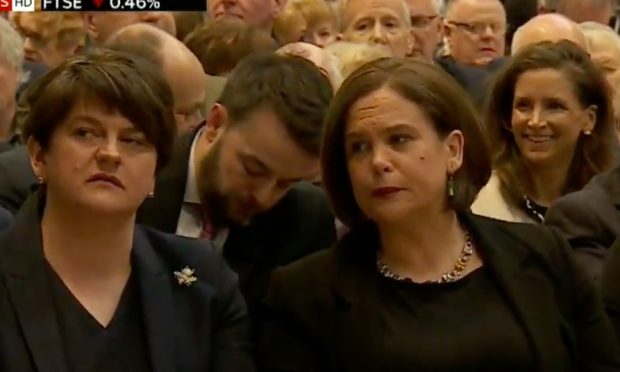 Unlike the UK where tight parliamentary figures are often a cause of consternation, Irish voters are used to such drama. Currently, the Fine Gael government is being propped up by its mortal enemy – Fianna Fáil. The latter promised to support three budgets after the last election and next Tuesday sees the final part of that pledge. Fine Gael is haunted by a spectre from the past that was known as “the children’s shoe tax” scandal which brought down its Coalition with the Labour Party down in 1982 after Independents propping Garret FitzGerald in power withdrew their support. Then Finance Minister John Bruton levied VAT on children’s shoes because he believed women with small feet were evading the tax. Next week his successor as Minister of Finance Paschal Donohoe could face a similar vista unless the sweet talking takes place this week to ensure that a backbench rebel conforms and votes along party lines. 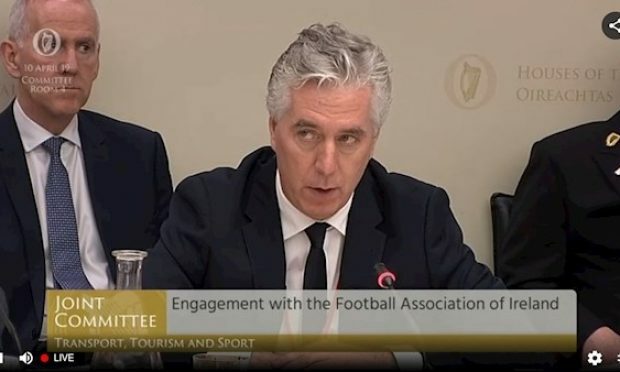 The problem for him is that former Louth GAA manager – now FG TD Peter Fitzpatrick – no longer wants to stay in FG, after voting already against the government sponsored Eighth Amendment to the Constitution earlier this year. If he decides to go, it will lead to a mad scramble to get sufficient votes for Budget 2019 to pass. Fitzpatrick intimated months ago that he would not be running in the next election as a Fine Gael candidate. 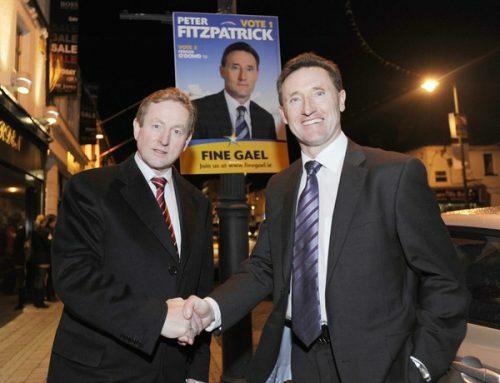 Peter Fitzpatrick during General Election campaign 2011 with Enda Kenny in Dundalk. Donohoe knows that would make it even harder to get his budget passed. Under Dáil arithmetic Varadkar’s government would need Fitzpatrick’s his support either as a FG TD or as an independent. And it may mean the government depending on the likes of disgraced former FG Minister and now independent Tipperary TD Michael Lowry. 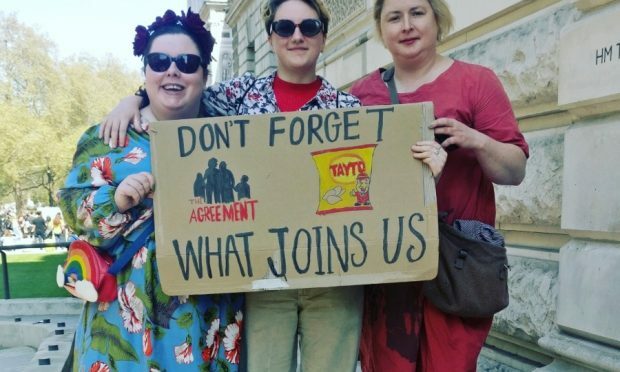 In June, Varadkar insisted there had been no written or formal agreement with the disgraced former Fine Gael Communications minister but admitted Lowry and a few other Independents had agreed to support his Programme for Government. He also admitted that such support meant Lowry had access to Varadkar and other ministers in the same way as other supporters do. “That means they are able to raise questions and issues, often relating to their constituencies on which we try to assist,” he said. What access might be afforded to Fitzpatrick should he cease to be just a rank and file FG backbench TD. Mr. Donohoe said he was hopeful the matter would not arise and Fitzpatrick would remain and denied that there is any split within Fine Gael, unlike the put-upon Prime Minister here Theresa May whose party often appears to be in the midst of its own civil war. Deputy Donohoe said he didn’t foresee a General Election in Ireland “for quite a while” – once he gets his ducks in a row over the coming week. Fitzpatrick has said that he will say definitely this week what he intends to do but has stressed that there are several reasons why he now wants to assess where he stands with the party. The smart money is on him changing his status to become an Independent but without aligning himself to any of the current Independent alliances inside Dáil Éireann. Aside from his opposition to repealing Ireland’s abortion ban in the Eighth Amendment – a repeal overwhelmingly endorsed by voters – Fitzpatrick cites Ireland’s health crisis as another reason for his discontent with his party. “We’re spending billions on health and yet we’re still having problems,” he says. He also criticises restoring VAT rates to their pre-Crash levels insisting that keeping it at its current level is a key to continued growth given the Brexit uncertainty in Border counties.